When you are about to head into a giant Nerf War, you really have no idea what the opposing team is bringing with them… But when you are trained and ready with the best Nerf Guns, it really doesn’t matter what they bring, does it? 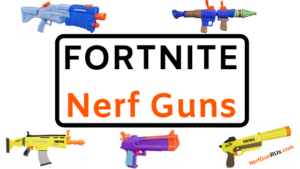 I Have Made A List Of The Best Nerf Guns For A Nerf War, Which One Do You Find To Fit Your Style Of Nerf Battle Tactics The Best? Stealth is the best way to use The Nerf Mega Thunder Bow Blaster. Learn to creep in the shadows and fire a screaming Nerf Mega Dart at your target, they won’t know where that shot came from, leaving the whole team looking over their shoulder. Have your team take them out while they are preoccupied with the assassin in the shadows! 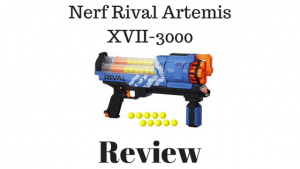 You have the option with The Nerf Rival Artemis XVII-3000 to go SlamFire and unload 15 Nerf High Impact Rounds then switch to the second magazine and fire 15 more, you are bound to hit something, or you can take your time and fire one at a time with the simple pump then pull of the trigger. 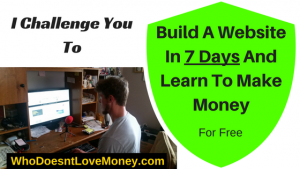 Its up to you how to eliminate your enemy! 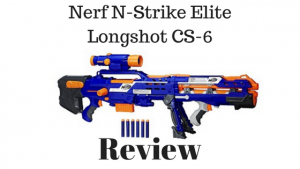 With The Nerf N-Strike Elite Longshot CS-6 you are going to want to hang out in the back of the Nerf War Zone, you get 6 shots at a time to pull the side lever and fire long range at the enemy team. Even if you don’t hit them, you still laid down some cover fire for your teammates to move in! Make sure you have a good Nerf Secondary, The Nerf N-Strike Elite Longshot CS-6 is big and meant to be shot from a stable position, if someone sneaks up on you, use your secondary to take them out! 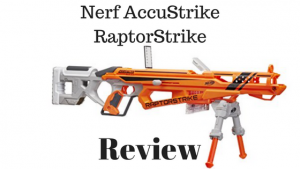 There is no doubt that when you take The Nerf AccuStrike RaptorStrike into a Nerf War, all you need to do is set up camp and take out any target that comes your way. The chance of missing is much less now, with The Nerf AccuStrike Darts that spin as they fly through the air, making eliminations so much more sweet and much more ammo conserving! Always best to have a good secondary with a Sniper, or a teammate to watch your back. 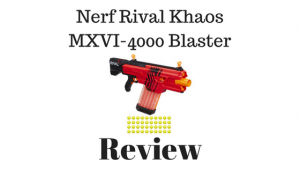 When you go into a Nerf War, can you go wrong with a fully automatic Nerf Gun that fires 40 Nerf High Impact Rounds like The Nerf Rival Khaos MXVI-4000 Blaster. Warm up the motor and fire however many High Impact Rounds you want at your target, if you don’t hit them, well then they are probably going to avoid you! 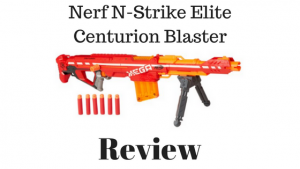 Just like The Longshot CS-6, The Nerf N-Strike Elite Centurion Blaster should be used from the back of the Nerf War Zone. You get 6 Nerf Mega Darts to fire at your target and they won’t have any idea where you are! Once again, you should have a good secondary for close situations if someone decides to sneak up on you, perhaps with The Nerf Mega Thunder Bow? 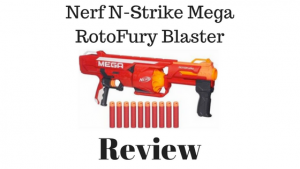 If you are going to use The Nerf N-Strike Mega RotoFury Blaster in a Nerf War, then you are going to want to kick down a door and eliminate anyone inside, make sure you don’t get shot yourself if you use that tactic. With Nerf Mega Darts, you do still have some range even with the Shotgun style of this Mega Nerf Gun, so experiment with your best position to eliminate everyone! 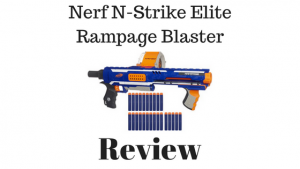 With The Nerf N-Strike Elite Rampage Blaster, you get the option to go on a complete rampage and go SlamFire. Hold down the trigger and pump to fire up to 25 shots in just seconds, you are going to feel like a real wrecking machine! Make sure you have cover available if you plan on going through your whole drum and reloading, 25 Nerf Darts takes a minute or two to reload. 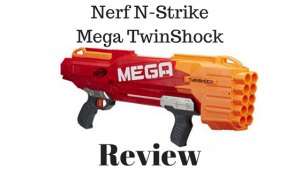 By far the best pump action Nerf Gun, The Nerf N-Strike Mega TwinShock holds 10 Nerf Mega Darts and you have the option to fire 2 Nerf Mega Darts at a time with the full squeeze of the trigger or 1 at a time with the half squeeze then the full squeeze of the trigger. You also have the SlamFire option to hold down the trigger and fire 2 shots at a time with each pump! The best Nerf Gun you can get if you want high ammo capacity that is still easy to load. 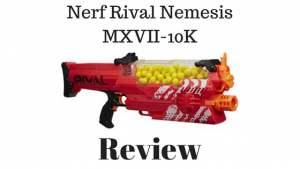 With The Nerf Rival Nemesis you get 100 Nerf High Impact Rounds that fit into the removable hopper that fits right on top, that you fire fully automatic. Warm up the motor and fire away, take out everyone you see, hit them with one shot, 2 shots, 5 shots, you got the ammo, make sure they know they are eliminated! The scariest Nerf Gun you can come face to face with. 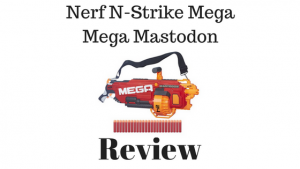 The Nerf N-Strike Mega Mega Mastodon is Huge and it holds 24 Nerf High Impact Rounds that fire on full auto! This Nerf Gun is so huge that you need a strap to carry it. Warm up the motor and fire at the simple pull of the trigger. 24 Nerf Mega Darts to take out anything you want to, ANYTHING! 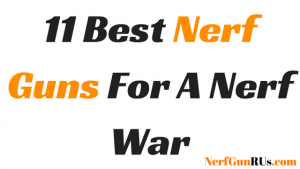 I personally love power, as you can see my list of the best Nerf Guns for a Nerf War are big and ready to take out any force that comes their way, as long as the ones using these mighty Nerf Guns are ready to wield such power! Now that you have seen my list, which do you find the best to annihilate the enemy? Or do you have another option that did not make my list? If so, leave your full opinion of why you think a different Nerf Gun should make my list, it better be good! 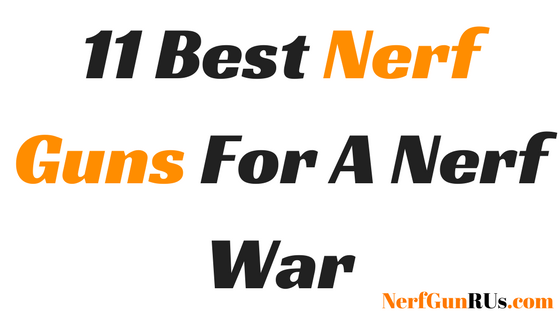 Top 5 Nerf Guns To Rampage With! I absolutely loved Nerf Guns as a child and still find them to be fun. A Nerf War would be epic and now that I know what guns would work best, I think it will be even better. I love how you have listed the details of each model and your own personal rating. Hi Kayla! Nerf Guns are always going to be fun, I am glad you can see that again, never let your inner kid die! 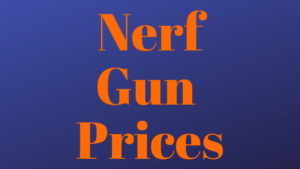 NerfGunRUs.com has all kinds of Nerf Gun Reviews that are meant to help you research and find the best Nerf Gun that will fit your style of battle. When you go into a Nerf War, you have to go in with a Nerf Gun you are confident with! Glad to hear your inner kid coming out! So many cool options that you have listed to choose from makes it hard to select the best one. But I must agree with you that power is key, so I will have to go with the Nerf-N Strike Mega Mastodon. Seems like The Nerf Gun that won’t let me down when I find myself in my next Nerf Battle. Hey Jared, awesome to hear that you agree with me that when it comes to power… That’s the best option to go with in a Nerf War! 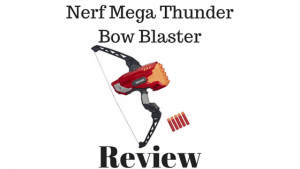 I think you can not go wrong with The Nerf Mega Mastodon when you want to go with Power, you get 24 Nerf Mega Darts that scream through the air, so if you don’t hit your target, you sure will scare them! Dominate Your Next Nerf Battle And Prepare For Your Next Nerf War! 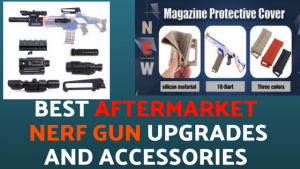 I haven’t had a Nerf War in a long time and I was wondering what the newest Nerf Guns were like and whether or not I should buy one. 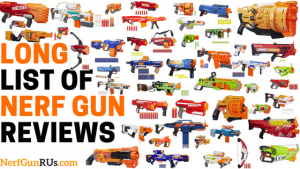 After reading this article and researching your site, I feel like an expert on Nerf Guns once again and can make a much better decision of which one to get. Hey Chris, Its always best to know what Nerf Guns are the best and which ones will give you an edge on your enemy. I’m sorry to hear you got out of the Nerf World for a while, but its good to hear your back in it! Choose your Nerf Gun that fits your style and dominate some Nerf Wars!